Before we go any further, I hope you’re not thinking that I’ve spent several hundreds of pounds [or dollars – not that I actually have either at the moment!] on something shiny and new to add to my tool collection! What it is, is that I’ve come up with another improvement to the toolbox tote that I built some time back. 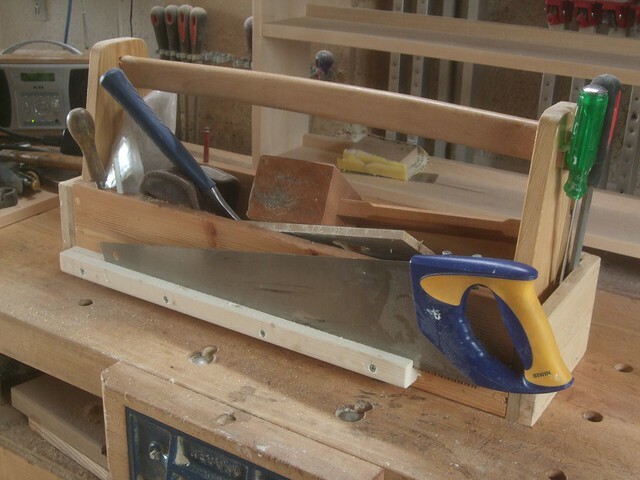 This new feature (one on either side) allows me to carry a pair of 20in or 22in hand saws (panel saws, if you will; the cheap disposable ones – I’m sure you know! ;-)). Quite simply, I prepared a length of pine (30mmx25mm, if my memory is correct) a ran a slot down one edge, using the narrowest cutter I had available from my set. It is ever so slightly wider than these saw blades (which are less than 1mm thick) but, they still do their job and it does mean that I can easily store and draw my saw (!) with ease whenever necessary. 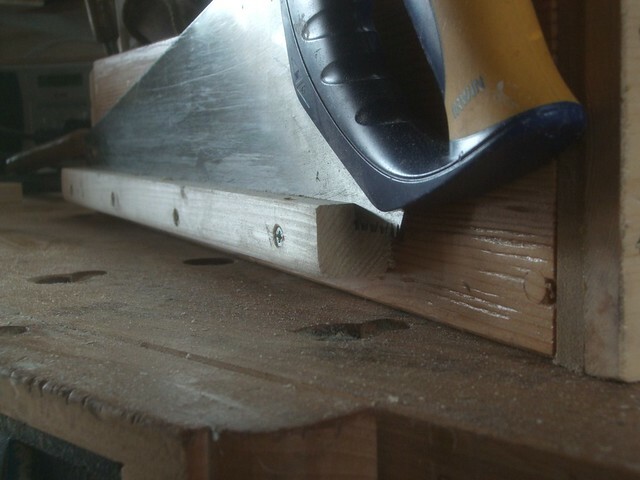 Perhaps I should add that this grooved strip of wood is simply screwed to the side of my toolbox. 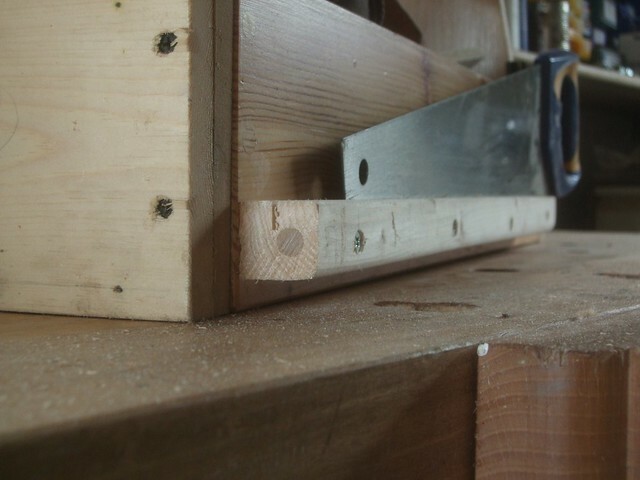 One possible improvement might be to insert a slip of timber above this strip (approx. 13mm thick), embedded with a couple of rare earth magnets. This would fit in between the box side and the blade and further help to keep the saw steady while my tools are in transit. If you didn’t see Upgrade #2 last year then, have a look here.